Ground rent is a regular payment made by the owner of a leasehold property to the freeholder or a superior Leaseholder, as required under a lease. A ground rent is created when a freehold piece of land or a building is sold on a long lease or leases. The ground rent provides an income for the landowner. A building can be either sold as a single house or divided as flats. 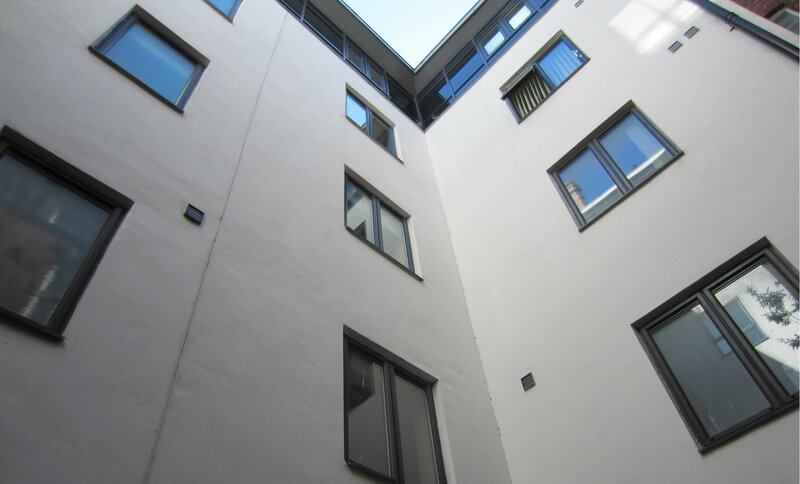 When leasehold property, or a freehold property, is purchased and the leaseholders or owners have use of communal areas of an estate or property, the freeholder or management company, remains ultimately responsible for the upkeep of the structure, exterior and communal areas of the block or estate. The freeholder or management company also remains responsible for arranging the services required to manage and maintain the communal areas of the block or estate. As a leaseholder/owner you are required to pay a share of the cost of these services, called a ‘service charge’. Service charges are paid to the freeholder, management company, or managing agent, to cover your share of the cost of managing, maintaining, repairing, insuring and providing services used in common with others, for the block or estate you live in. What is a Repair Provision? A repair provision is an estimated amount, listed in the annual budget, for the predicted repairs and maintenance for the year for any building or estate. The actual costs for repairs and maintenance for the year could be lower, or higher, depending on what maintenance has been required throughout the year. It is a challenging job to completely accurately predict the exact amount which will be spent on repairs and maintenance, as there are often maintenance items, which cannot always be anticipated at the beginning of the year. These, for instance could be a repair due to a lift failure, or a communal door or fire alarm system, which develops a fault. If the total cost of the repairs are higher than the originally anticipated budget amount, there may be further funds required to pay for this. Blue Property will set the budget for the repair provision, as accurately as we can, with the information we have available to us, at the time the budget is set. My neighbour has a loud dog, is playing loud music, hanging their washing out of the windows and has had an unsightly satellite dish fitted to the property, who do I report this to? Many residents think that agents have the power to deal with anti social behavior in developments of flats and estates. Unfortunately, this is not the case. Most leases do contain covenants which will say leaseholders shall not cause nuisance and annoyance to neighbours etc . These clauses are all included in most leases, but unfortunately, are difficult and costly to enforce. Blue Property can initially deal with any matter which means the resident of a property is in breach of their lease and will write to the leaseholder/residents concerned. If the letters do not work, then the legal remedies open to the landlord/agent are injunction or forfeiture. However, these remedies can be very costly. Your local environmental department will also be able to assist you in respect of noise pollution issues. I think there is criminal activity and drug use in a property in my estate, who do I contact to deal with this? Blue Property are the managing agent for the property, but can only deal with issues that breach the properties lease. Any issues of a criminal nature should be reported directly to the local police. What is an excess or balancing Service Charge and why do I have to pay this in addition to my annual payment? A budget is set each year for what we anticipate will be the cost of the maintenance at the development. However, it is difficult to get the budget completely accurate, when we have increases in certain prices and maintenance/repairs which could not be foreseen at the beginning of the year, when the budget was set. There is often an adjustment to the service charge after the year end as it is unlikely that an estimate will equal the amount expended during the year. This adjustment can be a credit if there is an over estimate, or a debit if there is under estimate. If the amount spent is over the amount budgeted, an invoice will be sent to you for your share of the balance due. If there is an over estimate, the adjustment will be credited to your account or transferred to a reserve/sinking fund for future expenditure. I own my house freehold, why I am I being asked to pay service charges? A managing agent is appointed to maintain any communal grounds i.e. car parks or landscaped areas, by the Freeholder of these areas. Your Transfer document will detail your requirement to contribute towards the maintenance of these areas; your solicitor should have explained this in detail, when you purchased your property. Why should I pay buildings insurance, I have my own policy? Under the terms of most Leases a freeholder/management company is required to insure the whole building, excluding your belongings and home contents. You are required to make a contribution to this through the service charge. Do I require buildings insurance and contents insurance? Buildings insurance covers the structure of the property together with its fixtures and fittings. Buildings insurance covers the cost of repair or rebuilding after damage. Contents insurance covers the contents of your property. In basic terms the contents is defined as the possessions you would take with you if you moved house. If you own a leasehold property, the insurance requirement stated in your lease normally refers to building insurance only. In most cases it is the responsibility of the freeholder/management company to insure the building. Contents insurance is optional as the contents of your property is owned by you. In summary, if you own a property freehold, you will, in most cases need to insure both the building and the contents. If you own a leaseholder property you will, in most cases, need to insure the contents only (if you choose to), as the building, especially in blocks of flats/apartments, is normally insured by the freeholder/management company. If you are unsure as to what type of property you own, and whether or not you are responsible for insurance, it is advisable to consult the solicitor that acted for you when the property was purchased. Do you obtain buildings insurance quotes each year for the buildings you insure, to ensure the most competitive premium for leaseholders/owners? Yes, Blue Property’s appointed insurance broker approaches all the major insurers. Blue Property’s appointed insurance broker is reviewed each year. Can we change the insurance provider for the block? Blue Property are affiliated to one insurance broker for all policies (that Blue instruct) throughout the year; this broker is reviewed each year, with the common renewal being 31st December. We are however, happy to receive comparable quotes, in order that we can present any to our broker, with a view to achieving the most economical premium. Please note, any comparable quote, needs to be exactly that, on the exact same policy terms and taking in to account any claims history. For any insurance that is arranged directly by the Landlord/Freeholder, or other party, that party will need to be contacted directly. Blue Property Management UK Ltd FRN: 447495 is an Appointment Representative of Reich Insurance Brokers Limited who are authorised and regulated by the Financial Conduct Authority. I have recently purchased a property, managed by Blue Property, and haven’t received any letter or details of how to pay service charges and ground rent? Unfortunately, Blue Property cannot legally update any new owner’s details, until we have received a written confirmation from the purchaser’s solicitors, this often takes some time, as solicitors sometimes take weeks to send the required documentation to us. A welcome letter detailing our services is sent to all seller‘s solicitors, to be forwarded to the buyer, before any sale takes please. Although we request this documentation is forwarded to the new owner, unfortunately, Blue Property cannot guarantee that the solicitors do actually foreword this correspondence. Do I still have to pay service charge if my property is empty, or if I am renting the property to a tenant? The current owner is liable for making service charge payments, regardless of who is living in the property, even if it is empty. The lease you signed when you purchased the property commits you to pay service charge while you are the owner of the property. What is a ‘retention’ and why do I have to pay this when I sell my property? A retention of funds is when moneys are paid by the seller when the Service Charge accounts for the end of the financial year have not yet been finalised; the retention amount is paid in case the next finalised accounts show a deficit. It is very difficult to recover funds from a leaseholder, once they have sold a property, so it is very important the retention is collected to avoid any service charges which may not be recoverable. By retaining funds, it also means that the purchaser will not be required to pay moneys owed, prior to their purchase and ownership of the property. The retention amount refers to the current financial year and is refunded in full, in part, or not at all, depending on any deficit shown in the accounts, once finalised; any monies due will be refunded, after the accounts are completed at the end of the period. How does the retention of funds affect the seller and purchaser? If you are the seller, the retention of funds means that when the sale moneys are paid on completion, they will be paid less the amount agreed for the retention. Normally, the solicitor retaining the funds will be responsible for receiving the final accounts and calculating the distribution of the retention moneys. Once in receipt of the accounts, the solicitor will then calculate the sum which was owed during the seller’s ownership and this sum will normally be paid directly to the Management Company. The seller will then receive any remaining monies due to them. If there is no deficit, then the total of the retained funds would be returned to the seller. The retention of funds should not directly affect the purchaser as the solicitor responsible for holding the funds should retain them until the finalised accounts are received and any amounts are apportioned or distributed. What is a Service Charge Deficit? When a purchaser agrees to purchase a property subject to a service charge, the date for completion nearly always falls before the annual service charge account is finalised. Sometimes the expenditure at the property is higher than estimated, due to unforeseen expenditure, which is often the case. When the accounts are finalised for the year, this deficit is divided amongst the Leaseholders. This means that each of the Leaseholders will be required to pay their share of the deficit. Alternatively, if there is a surplus in the Service Charges, this may be retained in the service charge account for future expenditure, in the following year. How does my solicitor obtain a Certificate of Compliance, required for registration of the property at the Land Registry? Any certificate of compliance required by the land registry, will be issued free of charge, when all service charge arrears, ground rent arrears and registration fees are paid. I have received a service charge/ground rent demand/invoice, which is not in my name. Why? And what do I have to pay? This often occurs when a sale has taken place and your solicitor has not registered the new owner with us or the Freeholder/Management Company, as required by your Lease. You should contact your solicitor immediately to ensure they send the necessary paperwork to us. Until registration has taken place, we are unable to amend the record relating to your property. However, as the owner, you are responsible for the charges and should pay these even though you may be resolving matters with your solicitor. What happens if I can’t afford to pay my service charge? We recognise that personal circumstances do change and some property owners/leaseholder do find that they have difficulty in paying. In the first instance it is important you contact our service charge department, without delay, to discuss payment options or email us using our contact page, particularly if you have received a statement confirming late payment. Show is the service charge spent? At the end of each financial year, a summary of expenditure is prepared detailing income and expenditure for your property or estate. The summary of expenditure is circulated to all leaseholders. There are costs incurred for dumped rubbish, I didn’t dump it, why do I have to pay? We are not able to identify the culprits and even if you have CCTV installed at your development, the cost of someone watching days worth of CCTV footage, which would take some days, is not economical. The lease provides that al leaseholders pay an equal cost of any communal maintenance. I live at the property but am not receiving communication regarding matters? The landlord’s contract is with the leaseholders only and this is the only party we can communicate with on the landlords behalf, as their agent. Residents that are not leaseholders aren’t given any ‘vote’ as the leaseholders are. Any communication with residents which are not leaseholders is carried out by display on the notice boards. Any input of any non leaseholder is the responsibility of that property’s leaseholder, if they want to take their views in to account and then communicate to the landlord via the managing agent. I have received a Landlord’s Offer Notice, what is this? Where a landlord is proposing to sell his interest in a building, often the freehold interest containing flats in relation to which the RFR exists, the landlord must, by law, first offer it to the tenants before offering it on the open market. The landlord must serve formal notices on the tenants telling them what is intended and must provide time for them to consider the offer; the landlord cannot sell to another party during that time, nor offer the interest to anyone else at a price less than that proposed to the tenants or on different terms. Breach of these legal obligations by the landlord is a criminal offence. The landlord selling the freehold interest in a building normally means a new company will be collecting any ground rents, but may not change any property management arrangements. However, if the landlord is responsible for instruction the managing agent at the property in question, the new landlord may decide to change the existing managing agent. You should be notified in writing if there are any changes. Please note, the above should not be considered as legal advice and we recommend you contact a qualified professional, should you require any further explanation or details. Is there a telephone line in to my property? And who is the provider? Who is the Gas and Electricity provider for my property? Unfortunately, we only deal with communal installations/services, therefore, we are not aware of the details of any individual installations to properties. How do I change my address or contact details that you hold? All address changes are required to be sent to us in writing/by email. Unfortunately, we cannot accept changes to addresses, or any other personal details, over the telephone. Do I need permission/Authorisation or Consent to make alterations to my property, or replace the windows etc? Most leases require a leaseholder to request consent from the freeholder, if any alterations are proposed. This normally involves an application with supporting drawings and a fee for the freeholder to process the application. You can find the contact details for your freeholder on your service charge and ground rent demands. Please be aware, any alterations that are carried out without the freeholders authorisation could be in breach of the lease and could result in legal proceedings against the leaseholder. You must ensure you thoroughly check your lease, before making any alterations. Do I need permission/authorisation or consent to let my property or rent it out? Most leases require a leaseholder to request a ‘consent to underlet’ from the freeholder or management company, if any subletting is proposed. This normally involves an application and a fee for the process of the application. You can find the contact details for your freeholder on your service charge and ground rent demands. Please be aware, any under-letting that is agreed without the freeholders authorisation could be in breach of the lease and could result in legal proceedings against the leaseholder. You must ensure you thoroughly check your lease, before subletting your property. I am an agent for a owner/leaseholder and pay the service charge on their behalf; can you send service charge invoices/demands and statements to me? Blue Property are happy to deal with agents, acting on a leaseholders/owners behalf. However, we have a duty under the data protection act to keep individuals details private and we will need written authorisation from the owner/leaseholder, to confirm you act for them, before any personal or account details can be released to you. We will only need this authorisation once and will then be able to deal with that agent/person indefinitely, until an instruction is received for us not to. I am thinking of selling/I am selling my leasehold flat/apartment. What is the process; what do I have to do? Selling a leasehold flat is very similar to selling a freehold house. The managing agent or freeholder, does not need to be involved during the initial stages while the property is being marketed and negotiations are taking place. Once the sale is agreed you will need to appoint a solicitor, in the normal manner, to deal with the buyer’s solicitor. The managing agent/management company and/or freeholder will then need to be notified as soon as the sale is agreed; your solicitor will normally deal with this. There will be some enquiries, from the buyers solicitors, in relation to the service charges and the management of the flats, but these will be dealt with between the two solicitors. One of the enquiries will be in relation any service charge or ground rent arrears, so please ensure your payments are up to date, in order not to delay your sale. Once the sale/purchase is complete there will be documents that will need to be lodged with the freeholder/management company/agent and the Land Registry and your solicitor will take care of all of this for you. If you require any further information in relation to the sales process, please contact your solicitor. Our property is a listed building; do you manage listed buildings? Our management portfolio contains listed buildings and properties in conservation areas. We understand all the complexities of these types of properties and we are very experienced in dealing with management and maintenance of listed buildings and buildings in conservation areas etc. Please contact us for further information, if you would like us to discuss management of your property, building or estate, with you. Does Blue Property hold my insurance certificate (NHBC/Premier guarantee or similar) for my 10 year builders/building warranty? I am selling my property and the solicitor needs this/I want to make a claim and need my Build mark/Certificate number. Unfortunately, Blue Property do not hold warranty certificates for individual properties. These are normally sent your solicitor when you purchase and could either be held by them, or have been sent/given to you with your lease and other documents, at the time of purchase. Is there are a specific form of Membership if required by the management company contained within the lease or is this automatic on receipt of the fees? What is the procedure for application for a share in the management company? Can you provide a copy of a fire certificate for the building/block? Should our communal fire alarm and emergency lighting systems be regularly tested? YES, It is paramount that all these systems are tested, as per the legislative requirements and any freeholder, residents management company or managing agent, should be able to provide records to satisfy the testing and maintenance carried out. Emergency escape lighting is part of an emergency lighting system that provides illumination for the safety of people in a location, often in communal areas of a flat or apartment block. This is part of the fire safety plan of a building and a requirement of The Regulatory Reform (Fire Safety) Order 2005. Emergency lighting should be tested on a monthly and an annual basis and the responsible person for that property should ensure this is carried out. What is a fire alarm? A fire alarm system is number of sensors, or devices, normally controlled by a central panel, working together to detect and alert people through visual and/or audio means, when smoke and/or a fire is present. The Responsible Person for the premises is to ensure that a Weekly Test of the building’s Fire Alarm system is carried out under The Regulatory Reform (Fire Safety) Order 2005. Blue Property ensures that freeholders and residents management company directors are meeting their obligations as required. Contact us for further details. Can you provide a copy of my Energy Performance Certificate (EPC) for my property? Unfortunately, it is the responsibility of the owner to provide any EPC and we do not hold any copies for any property. Can you provide documentation in relation to local authority building regulations and completion certificates? Unfortunately, we do hold any building regulation information, or any completion certificates. We would suggest you contact the original the developer, and/or the original purchasing solicitor to request any documents you require of this nature. Do we need a fire risk assessment? The Regulatory Reform (Fire Safety) Order 2005 requires a an inspection to be carried out in all communal areas of a block of residential flats/apartments. The responsible person for the property has a legal requirement to reduce the risk of fire, where possible and ensure there is a fire safety policy, so that in the event of a fire all residents and visitors will know a safe point of exit. It is vital that any fire assessment be carried out by a competent person, someone with fire risk training and experience. If an assessment is done by a competent person, someone could face liability issues if there was a fire. If a property is found without a risk assessment, the responsible person, whether that be a leaseholder/management company director or a freeholder could face a £5000 fine at Magistrates Court, an unlimited fine at the Crown Court and imprisonment for up to two years. Blue Property ensure regular fire risk assessments are carried out on all properties we manage. Do we need a health and safety risk assessment? Why do we have this carried out? There is no precise jurisdiction that requires the Health and Safety risk assessment to be carried out. However, the landlord or management company and subsequently any managing agent, has a responsibility to ensure that all areas used in common with others (details in the lease), i.e. the roof, gutters, paths car parks, steps etc are safe for all visitors and residents. A common, or communal area is any area that is not contained within the demise of the individual properties, details of the exact description can be found within in lease. The cost for any maintenance required to these common areas is delegated to the leaseholders, also within the lease. And carrying out a report to identify any potential risks at any property, is reasonable and considered good management practice. There are cases where RMC directors and managers/agents have been prosecuted for failing to deal with serious health and safety risks which have resulted in accident or injury to other persons. Even a tile falling from the roof of your property on to a public area, that is not part of the development (i.e the pavement), would still be considered to be the responsibility of the property. Any accident or injury caused to a resident or visitor, could potentially mean huge costs and consequences for the landlord, management company and/or leaseholders, so it is essential that any risk is minimised as much as possible. Blue Property ensure that risk assessments are carried out on all properties we manage. Is the service charge account VAT registered? Can I claim VAT back on my service charge payments? Some suppliers, i.e maintenance contractors etc, that supply services to properties may be VAT registered. However, the service charge account and the building itself are not VAT registered. Therefore, VAT cannot be claimed on service charge payments made by leaseholders. In order to be able to claim VAT back on service charges, the building would need to be registered for VAT. It is not usual for a residential block or estate to be VAT registered, however, some larger commercial buildings are VAT registered. The administration involved in complying with quarterly VAT requirements for a residential block/estate, would in many cases outweigh the savings made claiming the VAT back. It is extremely important that a valuation is carried out every three years (RICS recommendation), or whenever any extensions or significant alterations are made to the insured property. This is in order to ensure that the value that the building is insured for is the actual amount it would cost for full reinstatement. If the value is not sufficient on the buildings insurance policy certificate, this could mean that the building is under insured. Under insurance can considerably reduce the settlement amount paid by an insurer on any claim made on the policy. leaving a shortfall to be paid by the owners/leaseholders. We appreciate and acknowledge that materials used by some of our suppliers may appear to be able to be sourced elsewhere for less by a leaseholder. However, often when delivery, the quality and any other aspects are taken in to account, the cost is not always at the level it first appears. Our suppliers are professional companies with operating costs, such as insurance, travel, fuel, H&S etc and are required to ensure that they use good quality materials. It is our suppliers prerogative, in their professional capacity, to source and purchase materials as they see fit, however, these may not always be the cheapest that can be found on a quick internet search. A managing agent is required under the terms of the leases/transfers to ensure the property/estate is maintained and it is common practice for a managing agent to employ an outside contractor for a 24 hour emergency service. If this service is used for either requesting an engineer visit, or just a telephone engineer service, there will obviously be an associated cost as the provider will quite reasonably have a charge for this service. The cost of the party/contractor Blue Property employ for this service is reasonable, compared with the general industry average. Blue Property is committed to delivering a quality service at all times. We do accept, however, that occasionally things can go wrong. If you are dissatisfied with any aspect of the service you receive from our company we would like to hear from you. We would also like to hear from you if you are pleased with our services , or have a suggestion on how we might improve our services. To obtain our complaints procedure or send us any feedback, please send your request to: info@bluepropertymanagementuk.com.